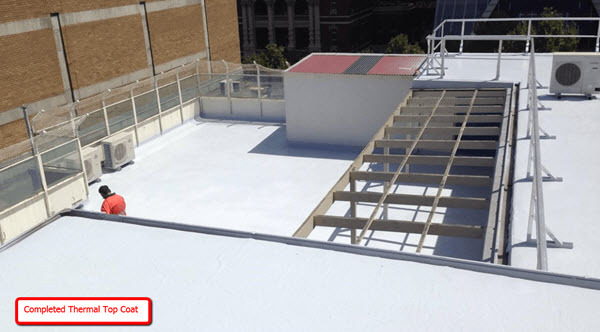 Findlay-Evans Waterproofing use Liquid Spray On Membranes to fix and permanently seal roof leaks. 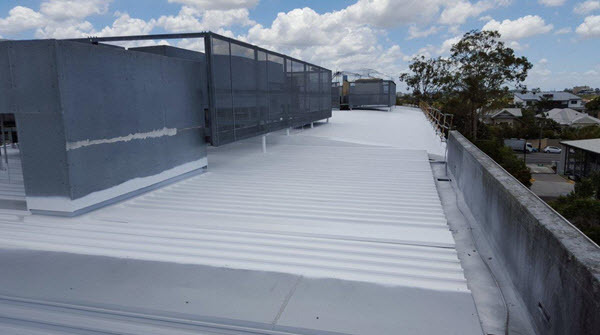 Liquid waterproofing is today's choice for commercial and industrial coatings for concrete roof slabs, roof decks, around rooftop utilities and seal low-slope corrugated metal tray deck roofs. 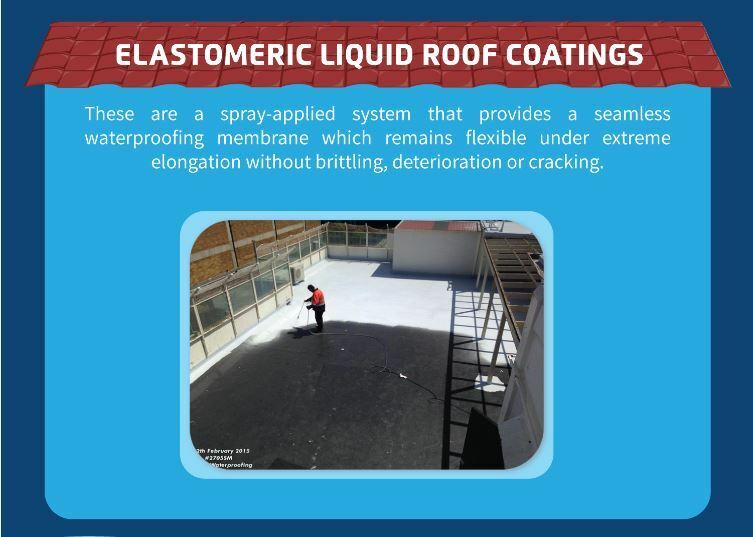 Liquid Membranes are a great alternative to traditional waterproofing products like bitumen roofing, EPDM, sheet and roll on applications. Joins and/or seams which are areas of weakness & potential for water ingress. 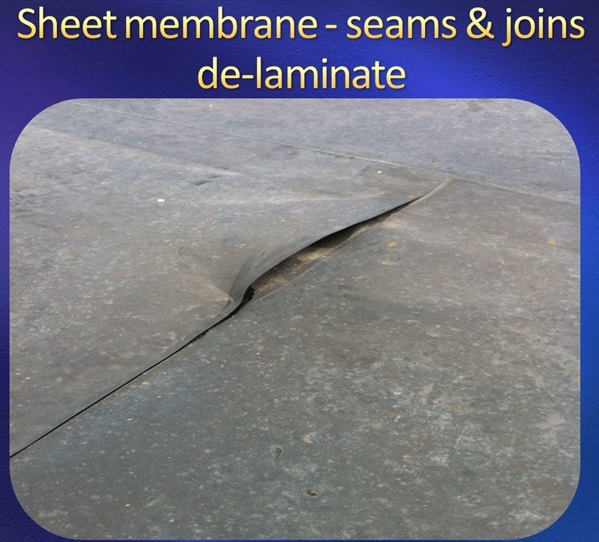 Sheet Roll On membranes use adhesives which are solvents and contain VOCs. Torch On - requires heat & flame & becomes a safety & OH&S issue. 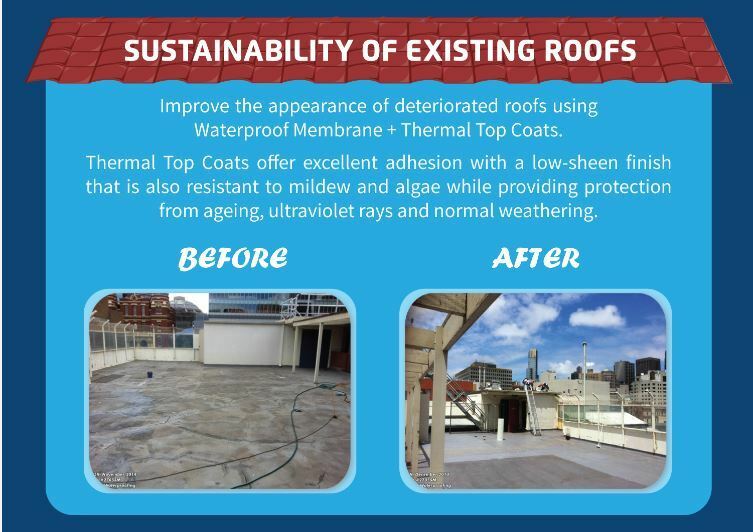 Lack flexibility required for rooftop waterproofing - many conventional older style waterproofing products dry out & develop cracks with aging. Inability to withstand "ponding" (standing) water - critical for balcony & flat or low-slope rooftops. Findlay-Evans use an alternative to existing adhesive roll-out sheet and heat applied systems. 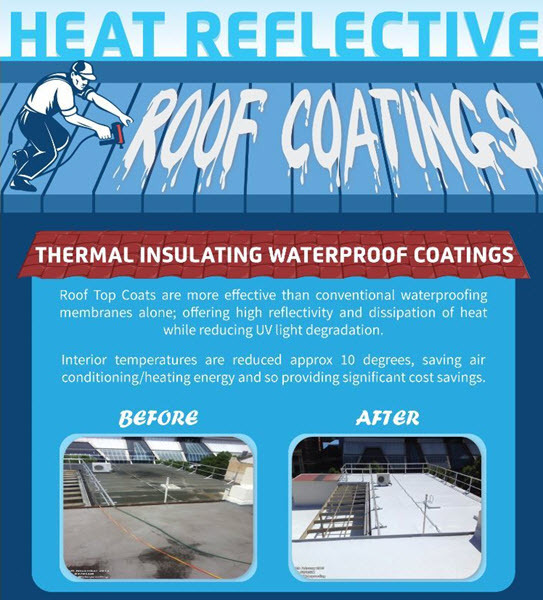 Liquid Applied Membranes have become the ultimate roof waterproofing membrane of use in today's commercial and industrial market. 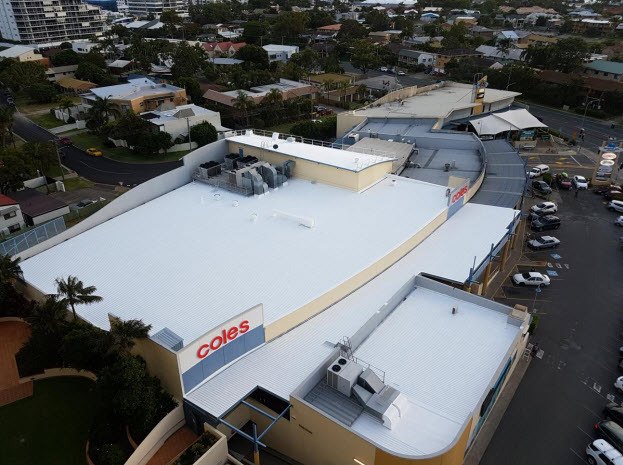 View our many video Case Studies showing how the Findlay-Evans Team solve leaking roofs - concrete or metal - using Liquid Applied Systems. Fast application with cold spray applied method. Requires no primers, mixers, flames or heat – contributing to safer and faster applications. 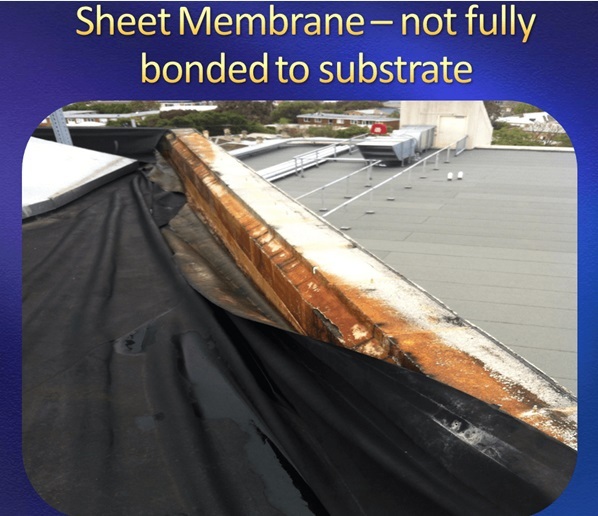 No need to remove roof or existing membrane. Long life and durable with standard 15-year warranty or extended 20 years. 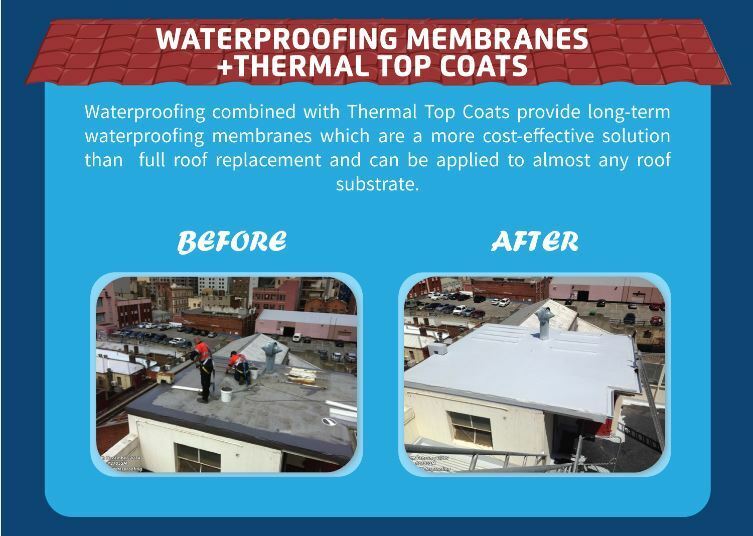 Using the combination of a Thermal Top Coat + Liquid Rubber Membrane provides an excellent & robust waterproofing repair system for all new and existing rooftops. How do you stop a metal roof from leaking? 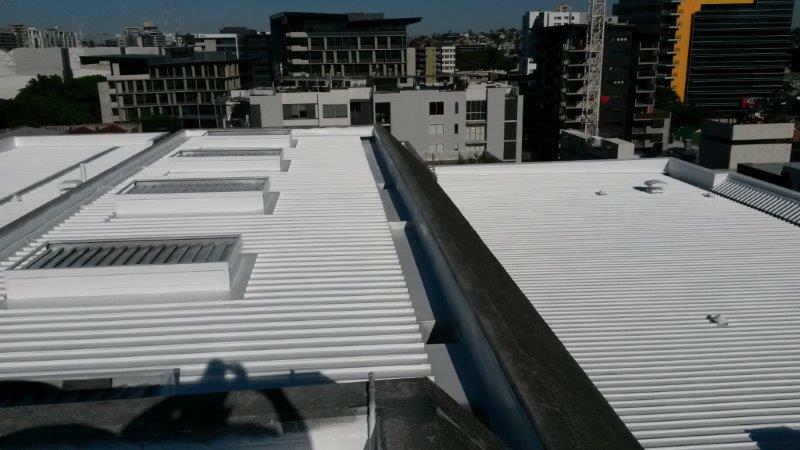 spray apply over existing industrial metal roof. Findlay-Evans WATERPROOFING are Registered Building Practitioners and specialist applicator for Liquid Applied Membranes. 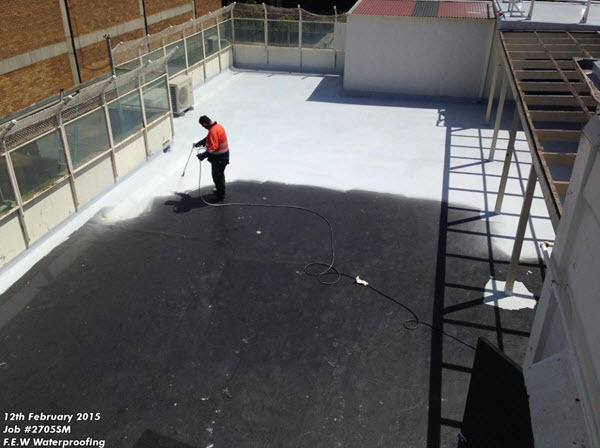 Find out why Findlay-Evans, Melbourne based waterproofing company, use Liquid Applied Membranes to fix leaking roofs. 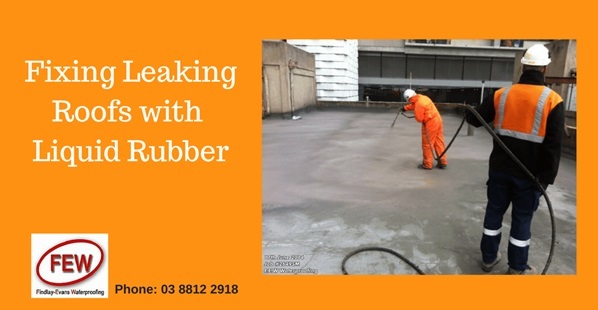 Paul Evans, Manager/Director and President of Australian Institute of Waterproofing, discusses waterproofing methods in video below.